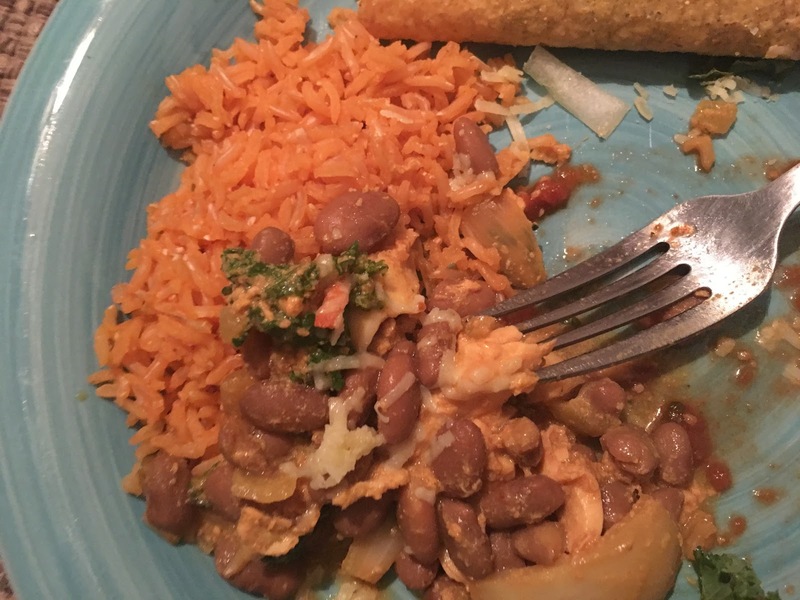 Here’s a meal I cooked for myself and my better half. . I was playing this really fun game called “let’s see what I can concoct before I have to make a trip to the grocery store”. I was pleased with the results. We’ll call it… “Savory Vegetarian Tacos” 😉 Enjoy! Rice first, that’s the deal. Rice takes the longest… sooo. we always start that shiz FIRST. So! Get a pot, half the onions go in first with some olive oil to saute. Then half the kale, cook that a bit, then the pinto beans, sazon and eggs. 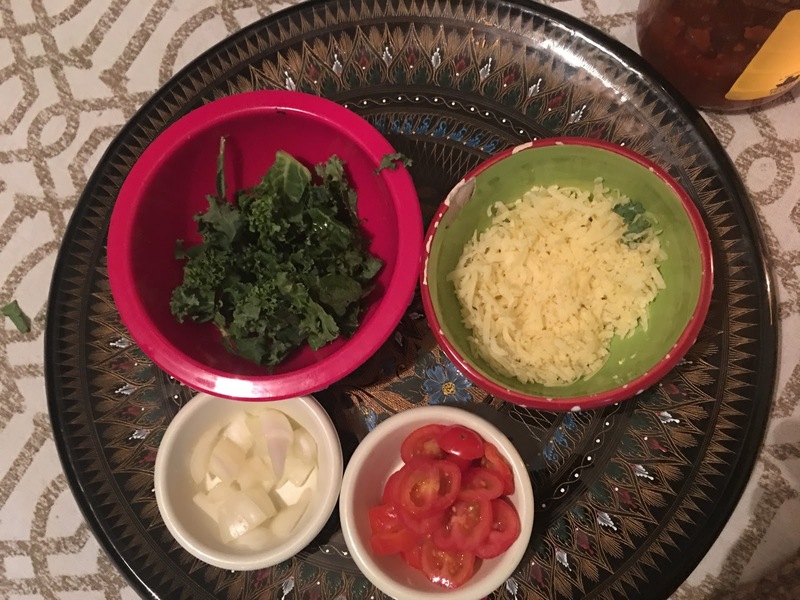 Other half of kale and onion, as well as the tomato and cheese are topping for your tacos. Trust me, the simple toppings end up being the best, and you might not miss the other stuff anyway. Toast up your taco shells – 350 in the oven till they crunchy.. then… set your table.. and Savor it! You made it just for you! Instead of going to Cheddar’s (MAN those crescents tho) and eating onion rings till I popped. P.S. The secret ingredient is always love. Next postUse Yoga to keep your house cleaner!